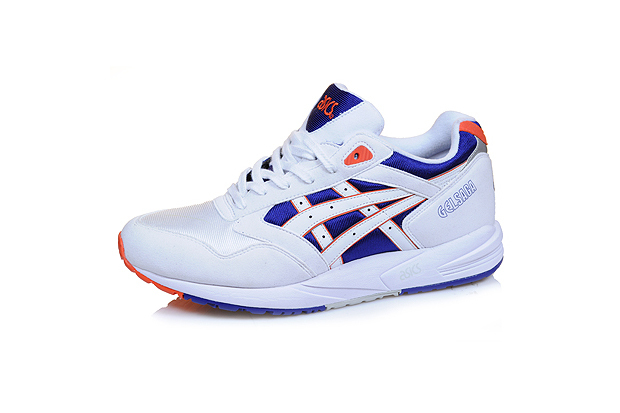 The asics Gel Saga is beginning to re-gain its reputation and is achieving more recognition over the past couple of months. 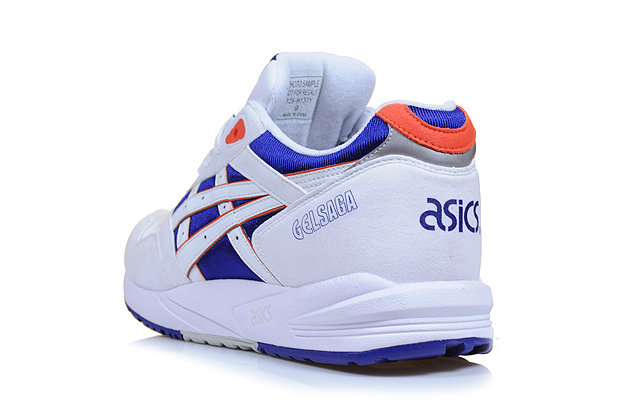 This New York Knicks inspired theme works perfectly on the iconic silhouette of the Gel Saga. This model is definitely making a re-entrance to the arena, for some it may have never left, but it’s now getting consistent hype after each release. Take Ronnie Fieg’s ‘Mazarine Blues’ and the Patta collab for example. 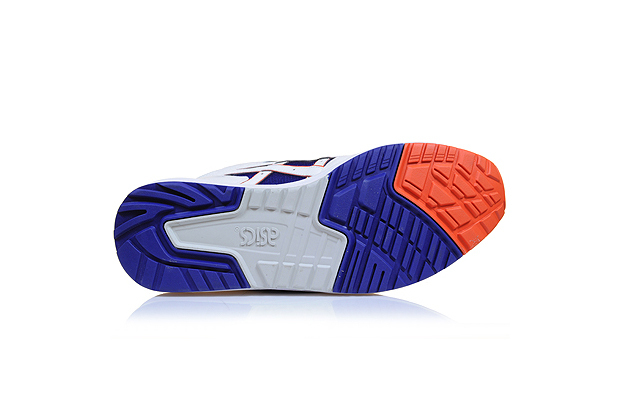 This runner’s supreme cushioning pushes it above many others and is now quite rightly getting the attention it deserves. It seems that the Gel Lyte III is taking a much deserved back seat for the time being, giving the Saga it’s time to shine. 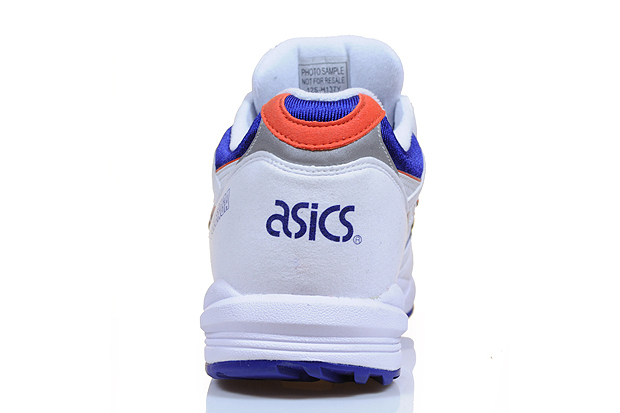 The silhouette is immersed in a bright white, with dashings of blue and minimal touches of orange, working perfectly in unison and making for a super clean toebox. 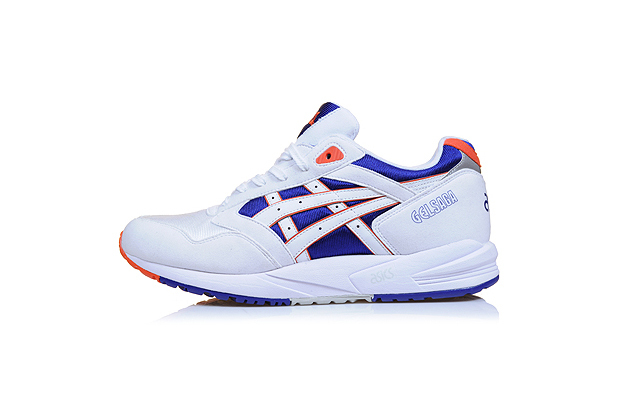 The upper is constructed from the standard materials with synthetic royal blue on either side, contrasted with the Asics stripe design outlined by the orange, resembling the Knicks kit beautifully. With a non-split tongue, we can fully appreciate the branding, which makes a lot more sense and creates a more sophisticated shoe. 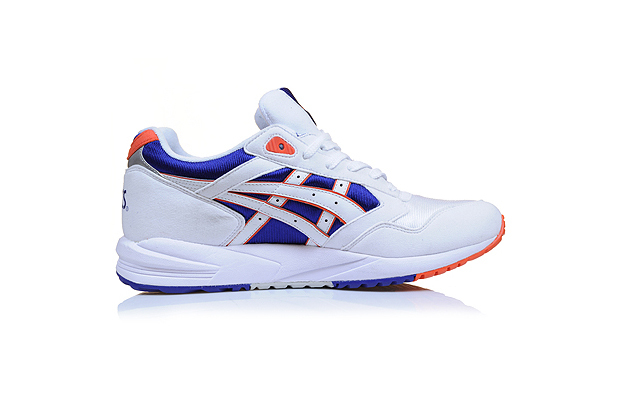 The Gel Saga logo sits nicely next to the asics logo on the heel and adds to the all round good looking appeal of this crisp shoe.